HLC Wellness is the only provider of Echo Hydrogen Water in Lake Mary, FL. Having owned H2 machines for the past few years, we decided to place one in the lobby so that our clients could benefit from the same health enhancing effects that hydrogen water provides. 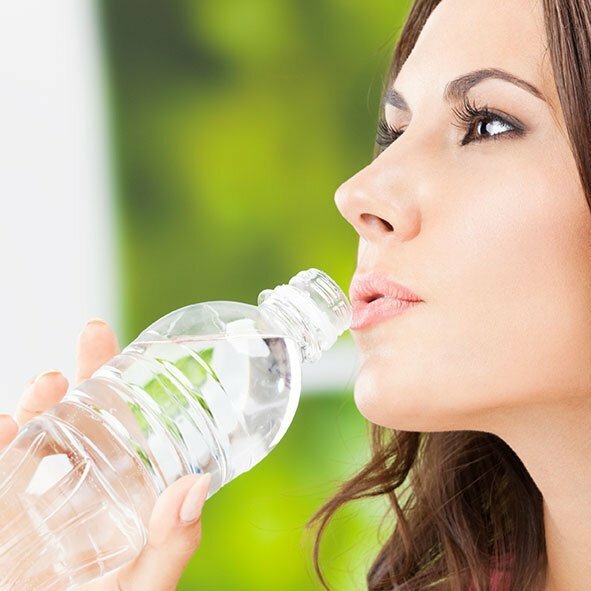 Not only is hydrogen water great for your health, it is also great for your skin. Come in and ask for a free spray bottle sample! HLC Clients Receive 10% off of their Echo Order through our office! Here is a short summary of just a few of the many benefits of hydrogen gas. There are over 600+ studies showing that molecular hydrogen has strong therapeutic benefits. Furthermore, 150 of those 600+ studies were done with human disease models. Molecular Hydrogen is a selective antioxidant because it converts the cytotoxic and DNA disruptive “OH*” radicals inside the cells, into water molecules. Thus, we are turning harmful molecules into hydrating molecules, in the body, at the cellular level! There are now over 700 studies documenting the health benefits of Hydrogen! It is engineered with the most advanced technologies. The key element in the performance of the Echo® 9 is the really high concentration of molecular Hydrogen dissolved in the water. Echo® Forever Warranty is the best in the industry. Worry Free-Echo® Forever Warranty for peace of mind. Warranty included parts, labor, and shipping…no questions asked…no time period…no warranty card needed…ever. Echo® is Industry’s first convertible machine that can be used above counter. It can also be installed under sink with our Echo® Digital Faucet option. 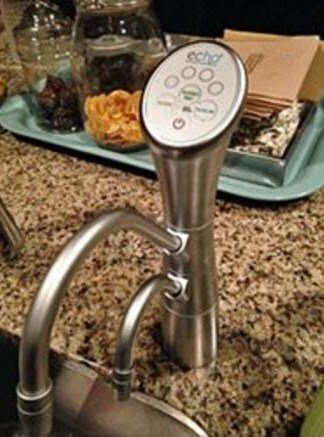 The digital faucet controls all the functions of the machine, including a filter life indicator. The faucet is elegant looking and uses less counter space. 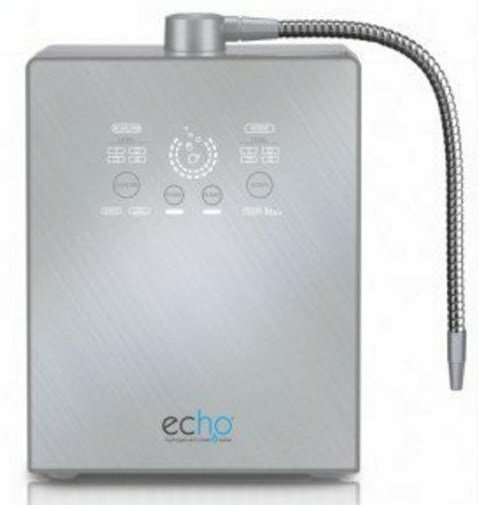 Echo® Water Ionizers create healthy, clean, hydrogen-enriched water from tap water. Hydrogen water helps to restore the internal homeostasis and remove toxic waste from the body. We have 9 electrodes. 5 layers of platinum, the platinum is strategically coated on our 9 proprietary electrodes. The proprietary design increases the performance, lifespan of the electrodes, and the usable surface area of the electrode making it more effective and efficient at producing high levels of dissolved hydrogen gas and Hypochlorous acid. The design increases the surface area at which electrolysis can occur. This greatly increases the efficiency of the Echo® water cell to produce high levels of molecular hydrogen and HOCl even in low mineral content. The patented water cell design completely removes any mineral build-up on the Cathode. This allows the machine to produce the highest amount of molecular Hydrogen and Hypochlorous acid. The Micom System is a microcomputer that controls all functions.It features self-diagnosis and a one-touch system for all functions. 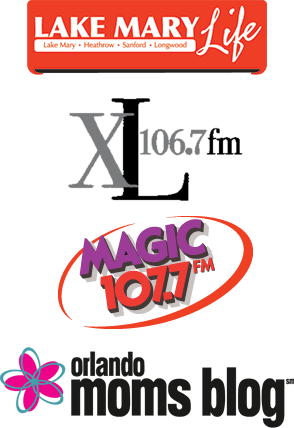 Schedule an In Office demo and receive 10% off of your order!